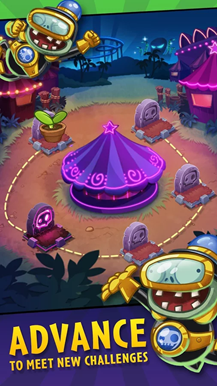 Heroes lets players choose either the Plants or the Zombies, which then fight on opposite sides of a lane-based field in familiar fashion. 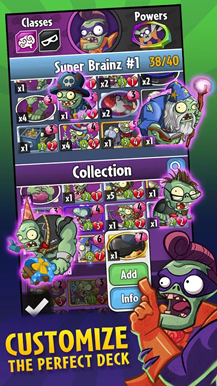 Players get 20 cards of their choosing in a shuffled deck, which can be laid down in turn-based bouts. 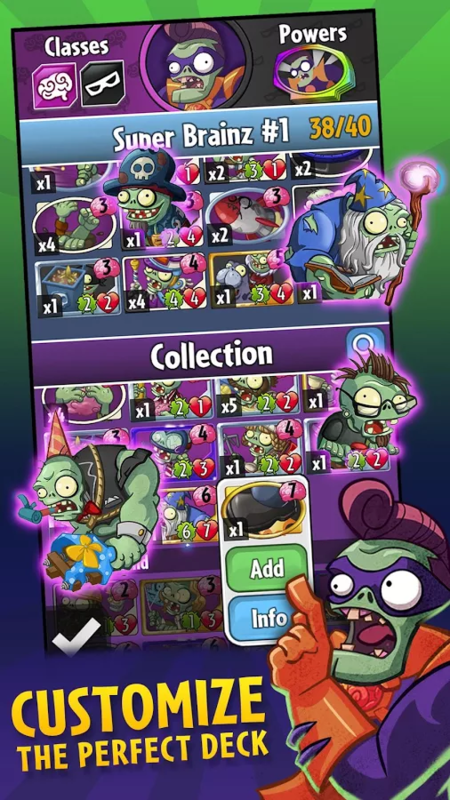 Each unit attacks and defends simultaneously, Magic-style, so there's a lot of neutralization in the early stages of the game as small units are played and lanes start to open up. Naturally it's a balancing act between strategic counters for the opposing units and building up mana for bigger, more powerful attacks. 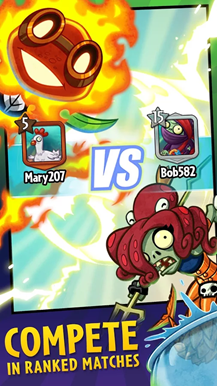 Your "heroes," superhero and villain-themed avatars, can unleash special attacks to turn the tide. 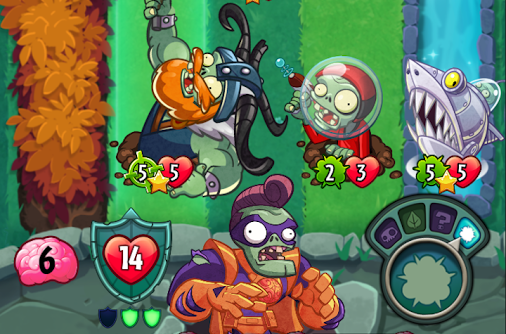 The game is clearly built with online multiplayer in mind, with units that can add tricky boosts and modifiers for a lot of strategic variety. The $100 currency in-app purchases let players unlock more powerful creatures for an easy advantage - remember that PopCap is an EA subsidiary, so this sort of thing is practically requisite. That said, the game does offer an extensive single-player campaign for those who want to unlock some of the rarer cards without spending any dough. Plants vs. Zombies Heroes is available worldwide for phones and tablets running Android 4.1 or later.